The Snuggle Up is designed to help protect your exotic birds from the harmful effects of air conditioning and cold drafts. 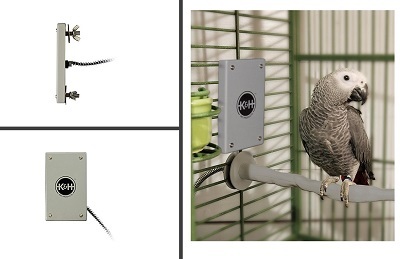 This low voltage heater mounts right to the side of the cage, allowing your bird to "Snuggle Up" to it to get nice and warm. Available in two sizes for any size bird. We only have the small right now. Cleaning Instructions: Wipe clean with a damp cloth, soap, and water.